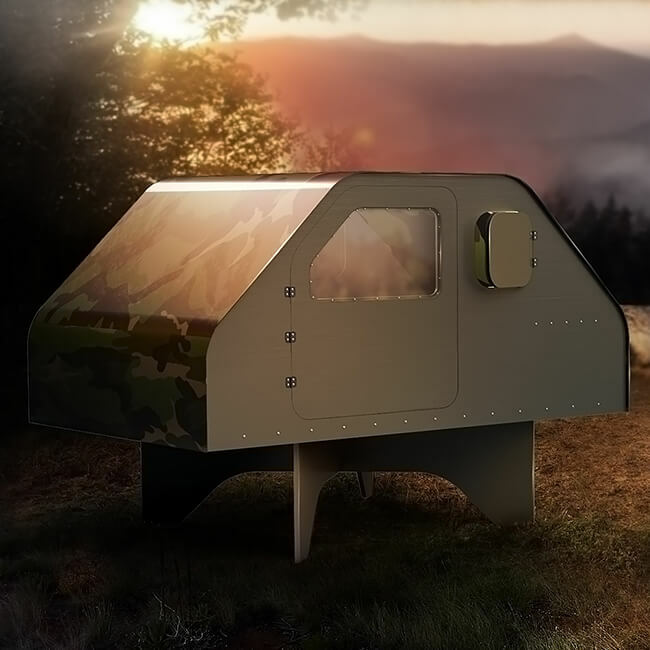 This multi-use Shelter not only looks fantastic but is about practicality, accessibility, usability, as well as fun and adventure. Choose your colour and assemble in less than an hour. 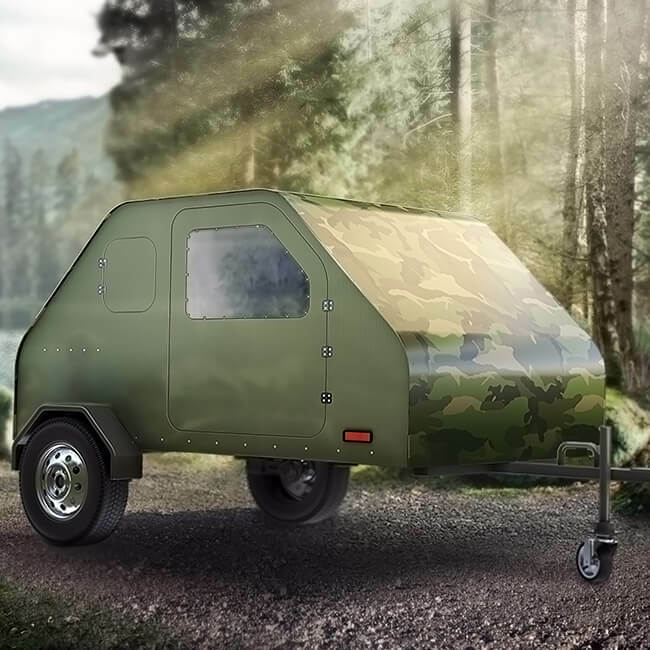 Great for the back garden, or out in nature exploring the world. 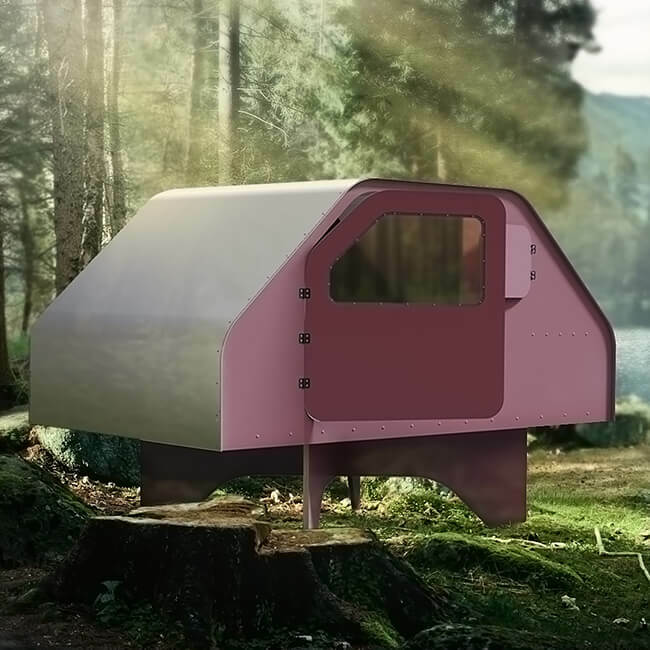 Duffy London has designed the shelter, so they can be easily customised into a caravan trailer by customers, so you can travel and get a good night’s sleep wherever you may find yourself. 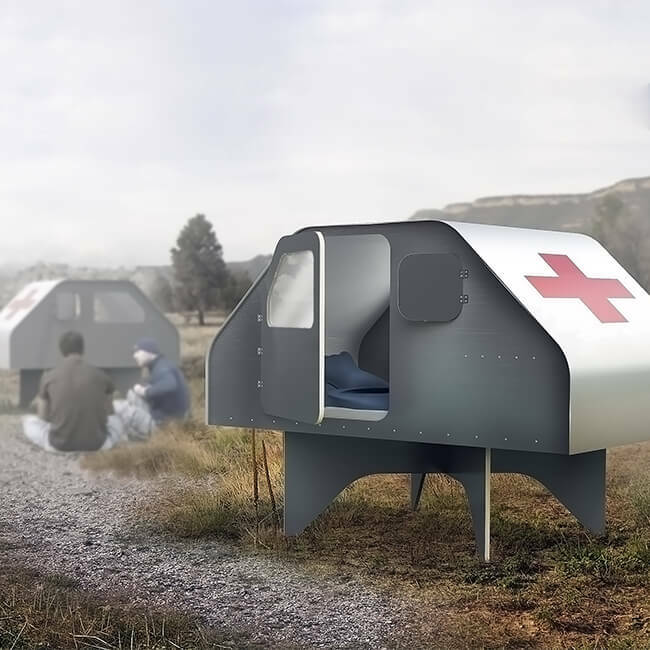 Practicality, robust structure and usability make the Duffy Shelter the perfect solution for refuge during disasters and first-aid support. Assemble in less than an hour with only a screwdriver. 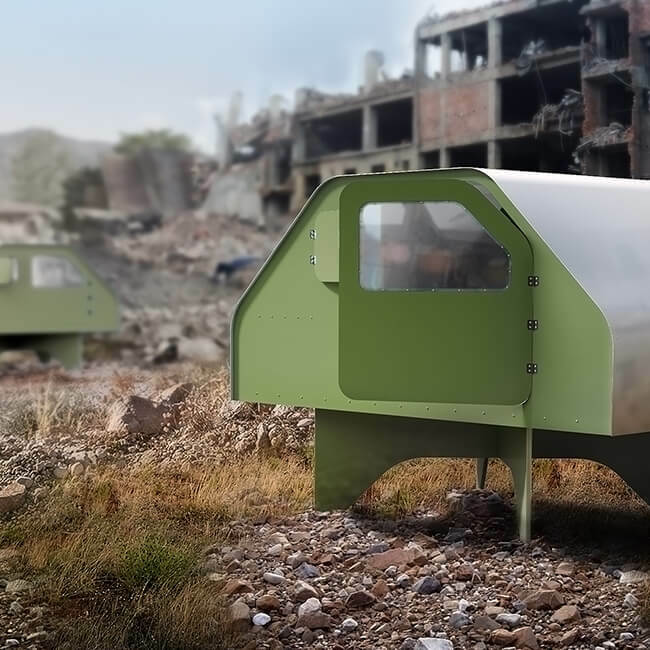 The Shelter is supplied flat-packed for compactness, enabling 35 shelters to fit in a standard transit van, which is small enough to access hard-to-reach areas. Wood from Forestry Stewardship Council managed forests and other controlled sources. The Shelter is supplied as a shell. Included in the pack is: Walls, Floor, Legs, Roof, Windows, Hatches, Hinges. 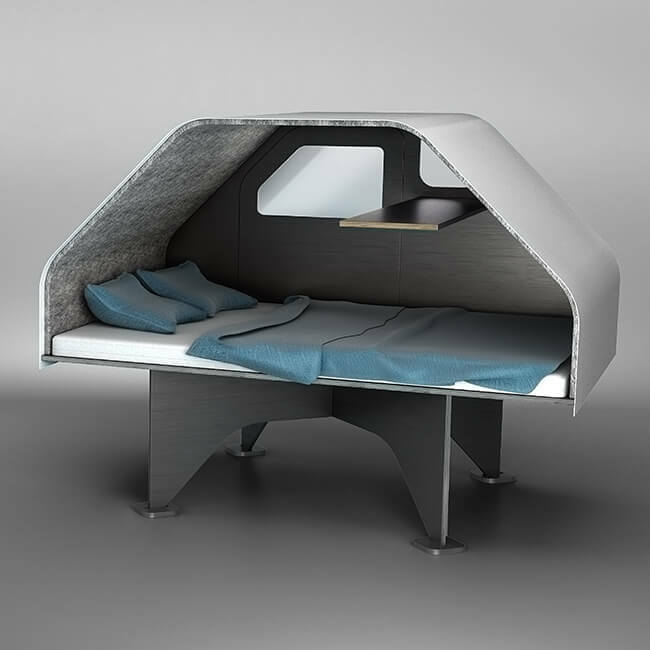 Duffy London does not supply the Shelter as a trailer version but the Shelter can easily be converted by the customer. Any electronics and customisation are to be completed by the customer.